Sometimes when we hear about a person or a team that has created a cool invention, developed a game-changing social innovation, or scientific breakthrough, we tend to say they are geniuses, lucky, or simply people in the right place at the right time. In her book, “The Creative Habit: Learn It and Use It For Life”, Twyla Tharp asserts that creativity is a habit a person can cultivate through the development of consistent, disciplined, work habits. For instance, Jessica O. Matthews and Julia Silverman met in 2008 during their junior year at Harvard University. As a class project, they decided find a way to use play as a tangible tool for inspiring social invention. In 2011, they founded Uncharted Play, Inc. I purchased one of their products last week: the SOCCKET soccer ball.. I am taking my SOCCKET to Cambodia to teach the children at Light of Future Schools about clean energy technologies, along with the KidPower2015 bicycle generator. 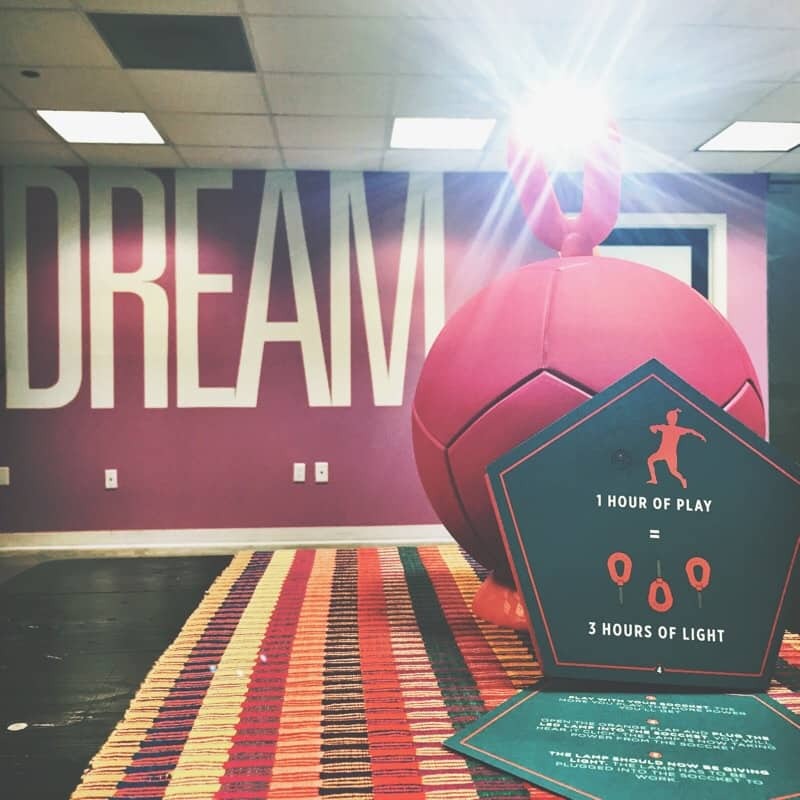 For every one hour of play, the kids will generate three hours of light. I am hoping their experiences with these two STEM projects will spark their creativity towards social invention in their communities. In 2006, William Kamkwamba was a 14 year old boy living in rural Malawi. His family was suffering from crippling poverty brought about by an extended drought. He had been forced to drop out of school because his family did not have the $80 to pay his annual school fees. Instead of giving in to despair, William spent time reading books in the tiny library in his community. He picked up a book about windmills and decided that possibly a windmill could generate the energy his family needed to have electricity. Nine years later, William’s windmills have transformed his community. Windmills produce electricity and pump water. His village has prosperous, irrigated fields and a biogas digester too. In 2014, he graduated from Dartmouth University. He worked consistently on his ideas with discipline. Twyla, Jennifer, Julia, and William inspire me to continue working with disciplined consistency on some ideas I have been working on. In 2005, I met with Shellie Solomon and two other women to start brainstorming a concept to serve children with incarcerated parents. 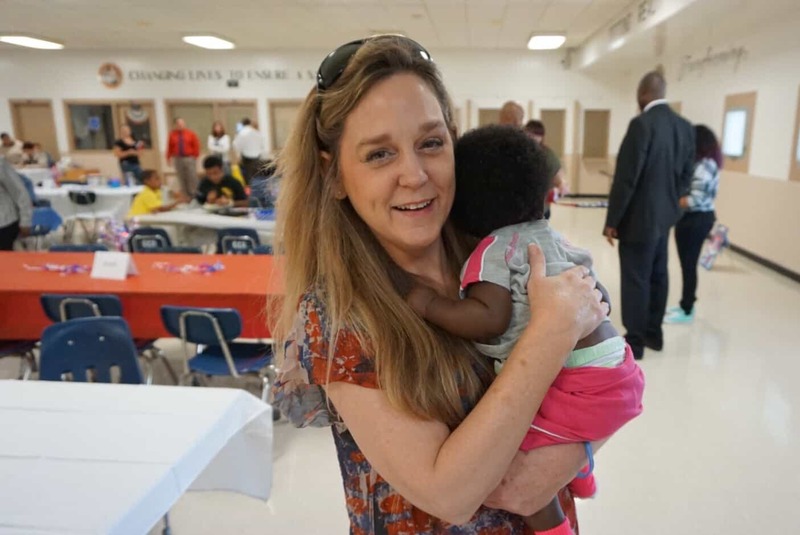 In the State of Florida alone, there are over 200,000 children with an incarcerated parent. 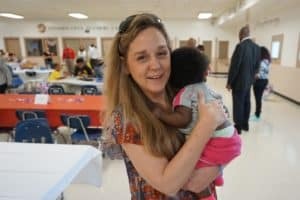 Since that first meeting, Children of Inmates, Inc. (COI) was created and has now served over 2,000 children of inmates in the State of Florida. In 2014, Shellie and I started working on a concept we have since titled “Science Inside”. 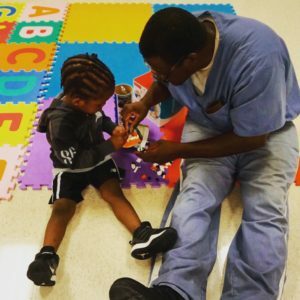 Science Inside is a civic-oriented STEM education project implemented INSIDE correctional facilities for children and their incarcerated parents to inspire the children to pursue emerging careers through higher education and to engage the incarcerated parents to nurture their children and their children’s dreams. We started this project with two STEM activities: Babies & Brains and KidPower2015. 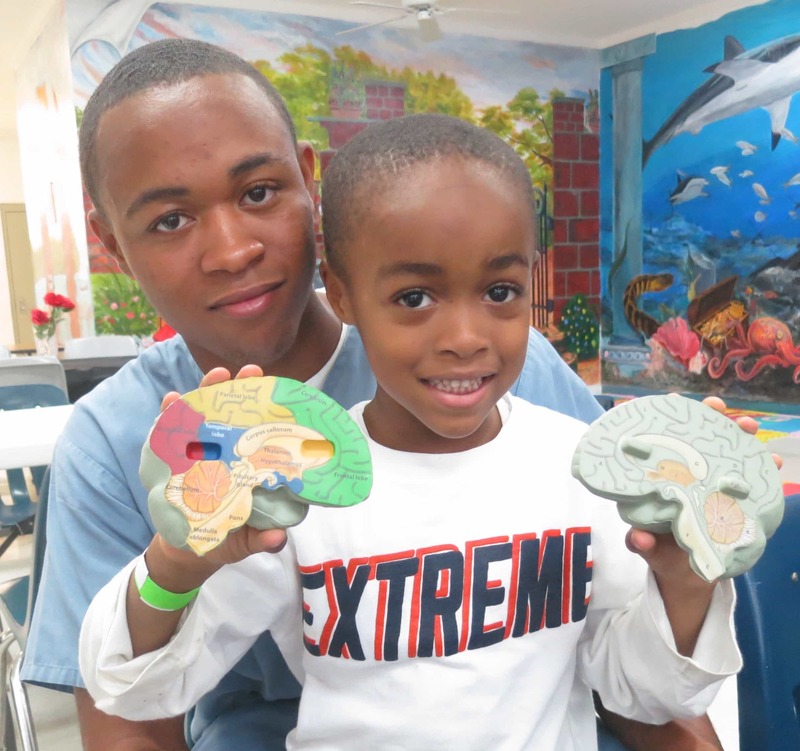 Babies & Brains introduces incarcerated parents to infant brain development concepts, the impacts of childhood trauma on brain development, and the importance hands-on activities for parents and children between infancy and age 5. KidPower2015 introduces the children and their incarcerated parents to a clean energy technology and how to create electrical energy from physical energy. Our vision for Science Inside is that it develops into a replicable, best practice model for teaching STEM to children with incarcerated parents. In 2014, Koy and Reny Chhim birthed a vision to establish Cambodian Care Ministries. to provide education to the most impoverished children in Cambodia. With the help of the children and their parents in the Tuolpongror community in Phnom Penh, they started to build their first school. They named it Light of Future School #1. More than one hundred children had been enrolled by their parents before the construction of the school was finished. 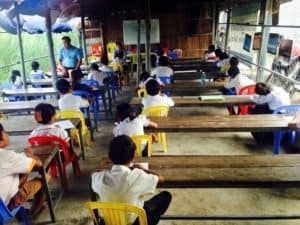 When our November 2014 Cambodia Mission team arrived to participate in the first day of school, more than 180 were enrolled. Last week, the children in Light of Future #1 took their final exams in shifts. 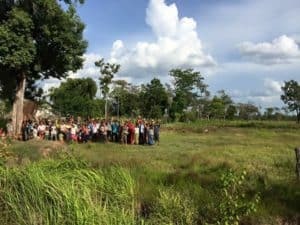 Tomorrow (July 19, 2015), our Cambodia Mission Team 2015 is partnering with five South Florida Jeep Clubs to host a Jeep Meet at Trinity Church. 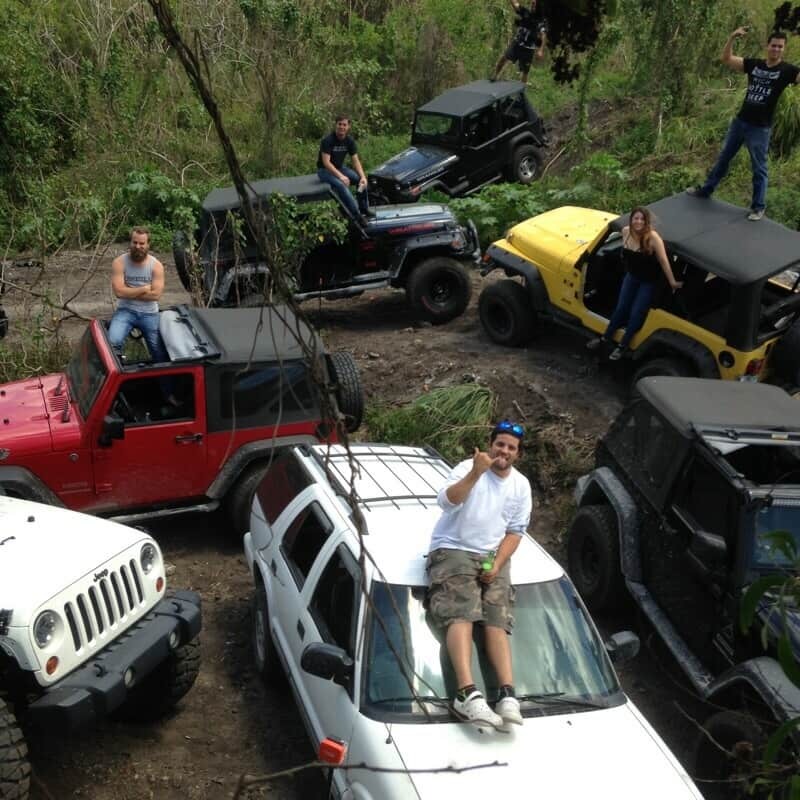 They are bringing a flex ramp and stacking their jeeps! Their generous support will help establish Light of Future School #3 in Kratie Province, Cambodia. This is the first time we have hosted a Jeep Meet. This is the first time that they have held a Jeep Meet for a cause. It’s a new idea! This school will open in September 2015 on land generously given by the Koi Village Community to Cambodian Care Ministry. 200 kids are expected to attend the first day of school. The finances, school supplies, and hygiene products collected during the Jeep Meet will be used for these children. This is one creative idea that I know will grow and develop. We are all excited. What idea do you need to work on with consistency and discipline?